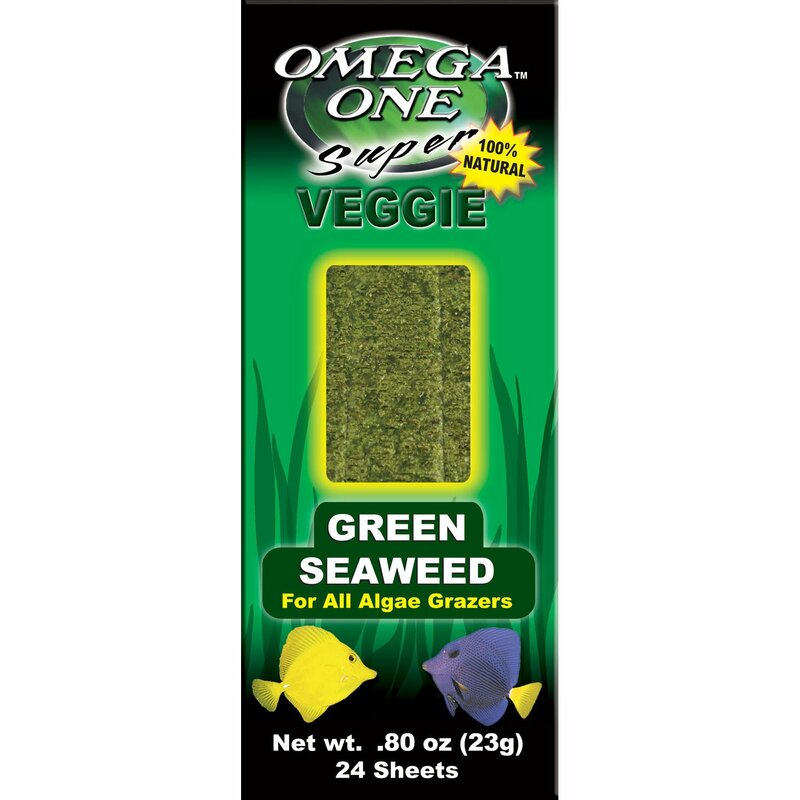 Made with the finest seaweed available, Omega One Super Veggie Green Seaweed Algae Grazer Fish Food is an excellent veggie treat for omnivores. The bag is resealable, which keeps the seaweed fresh. Pre-cut pieces make it easy to feed and helps eliminate waste. This formula has added vitamins and minerals.